The UN has just joined forces with Jordan and opened the world’s largest renewable energy project in a refugee camp in Zaatari. The project is expected to impact the lives of 80,000 Syrian refugees in Northern Jordan, by supplying energy for homes, clinics, schools and other facilities for residents. Jordan now hosts the only two refugee camps in the world that are fully powered by solar energy, according to UN officials. The plant at Zaatari, funded with a €15 million grant from the German government through the KfW Development Bank, is expected to provide service for at least 25 years. This should increase the electricity supply to refugees’ homes from eight hours a day to 14 hours, which residents say will “change lives” in their makeshift city at the edge of the northern Jordanian desert. 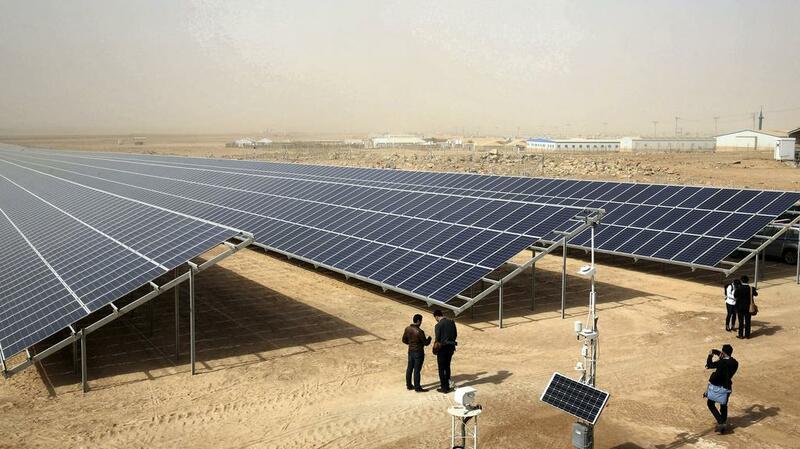 The solar power station will also relieve the burden on the national power grid in northern Jordan, which has seen an influx of about 200,000 Syrians over the past five years. Jordanian energy officials have said that adding the demand from Zaatari, which at its peak housed more than 120,000 Syrians, was akin to adding a major city to an already outdated power grid overnight. The construction of the plant has created jobs for more than 75 Syrian refugees, many of whom will stay on to manage the power station. WE SAID THIS: Sustainable, independent energy source would provide long-term security for the camp population.